Are you looking for a hearty dip everyone will love? 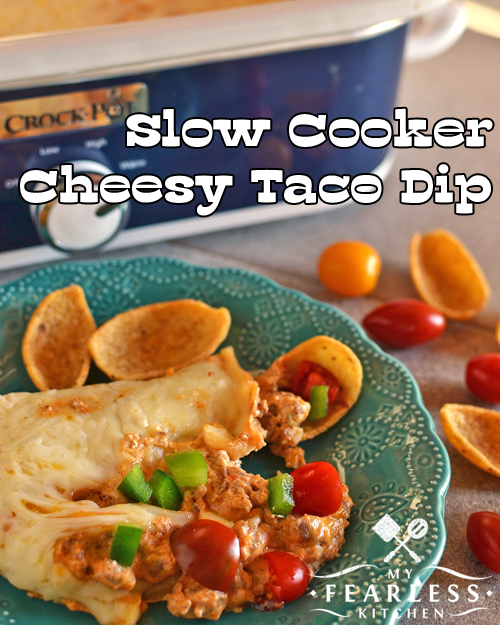 Stock up on chips and make this Slow Cooker Cheesy Taco Dip as an appetizer or the main course! 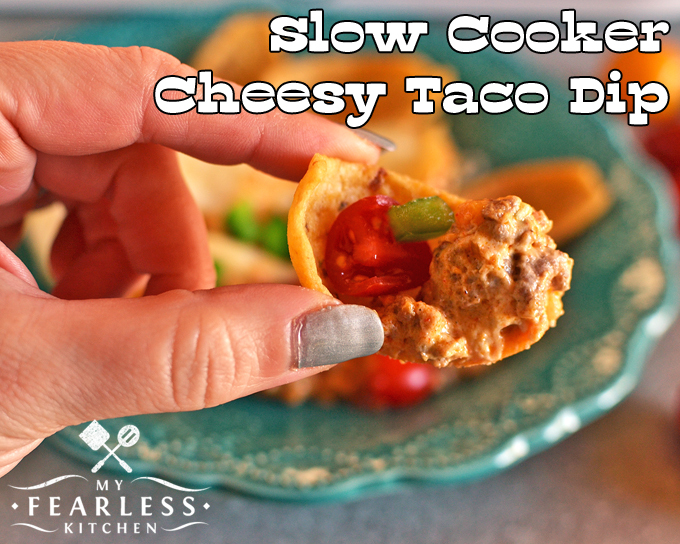 Whether you need a good snack food for a big tailgate party, something to munch on while your family sits down to watch a game together, or you just need an easy way out for dinner one night, this is the dip for you! This dip is so easy to put together. If you have cooked ground beef in your freezer, it just got even easier! 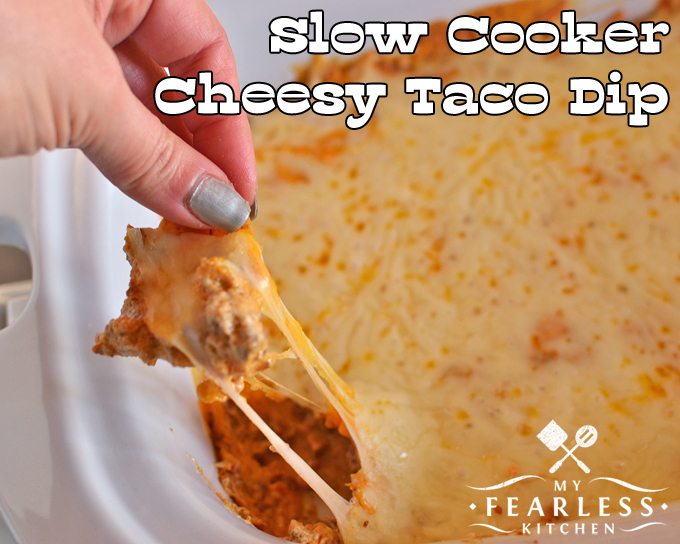 All you need to do is brown some ground beef, mix it with three more ingredients, toss it in a casserole slow cooker, layer on a bunch of cheese, and come back later to enjoy it. Just look at that cheese… ahhhh… How can you resist? All that cheese makes this one heck of a dip. I suggest using a hearty chip for this. I love restaurant-style thin & crispy chips as much as anyone. But they just do not hold up to this dip. I like Fritos Scoops for this dip – they are thick enough to hold up to dipping, and the scoop shape means you can hold lots of dip and extra toppings. Oh, toppings… Chop up some bright bell peppers and grape tomatoes to serve alongside this dip. Like olives or jalapenos? Add those, too! Make sure you eat at least a few, so you can count it as a vegetable for the day. Spicy Sausage Dip – another amazing game day dip!